In this guide we’ll teach you how to build a website from scratch. We’ve created hundreds of websites and have made many mistakes along the way. We’ll help you not fall into the same traps that we did. Everything from picking the right website platform to creating the most engaging website content. We’ve got you covered. Building a website is super confusing, but anyone with the patience and determination (like you have) can do this! What Is A CMS And How Much Does It Cost? Which Is The Best CMS For You? How To Build a Website Quick And Easy! Internet merchants who want to build online stores. Small businesses that need an online presence. Bloggers who want to talk to the world. Personal brands that want to build a platform. When building a website, make sure to pick the right platform. Building a website used to mean installing special software then using it to hand-type HTML or CSS or PHP onto a black screen. From there, you had to upload that code to the Internet and hope it all worked and looked pretty. You can still do that. Some people do. But, learning to code can take years, and then years more to do well. Other website platform options have appeared, including website builders. Companies like Wix and Weebly give you the ability to build your website without coding expertise. Website builder platforms typically offer a drag and drop interface. All you do is select your template and customize the content. They typically also offer website hosting and a domain name. All the maintenance and technical functionality is provided by the website builder platform you select. However, there are some disadvantages to using a website builder for your website platform. The templates leave little room for functionality or customization. Basically, it is an out of the box website that you will have to accept and use should you go this route. If you want something more from your website development platform, there are other options. Today, websites are usually built with Content Management Systems (CMS). A CMS is a very simple program for building websites — and the best ones are free! While the CMS may be free, it’s important to note that you still have to buy your domain and establish website hosting. You will need to install the CMS software on your web server. To use this platform, you will also need to choose a theme, select plugins, and create content. You will also be in charge of regular maintenance, including backups and software and security updates. Instead of fiddling around with HTML, CSS and PHP, you can just type in your content, and drag-and-drop to move it around. Plus, you can use content management systems for many types of websites, including blogs, static websites, e-commerce websites (built on platforms like BigCommerce or Shopify Plus), membership sites, forums, and anything else you want to create online. Independence — It’s so easy, you can make any changes yourself without hiring a coder. Speed — Be up and running in minutes. Savings — A good CMS costs nothing to install and nothing to use. And, best of all, anyone can use a CMS. If you can use Microsoft Word, then you can build and maintain a website with a CMS. This means you don’t need any technical or graphic design skills to create an engaging website that represents your personal or company brand. Which Is The Best CMS For When You Build a Website? Three CMS platforms dominate the Web. They’re all FREE. However, one stands out. And, that’s WordPress. You can use Drupal or Joomla! if you want. They’re both good, strong Content Management Systems. Like WordPress, they cost nothing. Drupal is defined as an “out of the box” web content management tool. It also has many customizable features. Both businesses and technology leaders use this CMS because of its native features. Other advantages include its module extensions, deep functionality, variety of content, and mobile-first focus. The CMS also provides management for page content, graphics, and advanced users. There are thousands of plugins and significant support. However, there are disadvantages to consider. Some of the functionality is not user-friendly and may require some technical knowledge that most business owners do not have. Its scalability and efficiency are not as advanced as other available CMS platforms. This CMS is rapidly gaining in popularity among all types of companies, organizations, and media platforms. This is considered an open source solution, which means it is free and can be improved by anyone that has a great idea. It is now powering all types of websites, including e-commerce, subscription, and multimedia websites. The advantages of Joomla! include easy installation, thousands of plugins, navigation management, and significant support. That support even includes a discussion board where you can ask others for help. The advanced administration panel is ideal when you become more comfortable with using this CMS. However, there are disadvantages, such as limited adjustment options, plugin compatibility issues, the cost of some plugins, and function and administration complexity. Despite the benefits that Drupal and Joomla offer and the arrival of other Content Management Systems like Typo3 and Quick.cms, there’s a reason that WordPress dominates. Actually, there are numerous reasons listed below. Founded in 2003, WordPress has become the most widely used CMS platform for websites and blogs. Since its inception, there have been more than 250 versions of the CMS. Also, estimates indicate that it has been downloaded over 60 million times. 1. WordPress is FREE to use but fully supported. WordPress has a big community that chips in to keep it running. They keep WordPress free. However, they also make sure it’s updated and improved regularly (updates usually come out about once a month). The updates are done thanks to the helps of numerous tech experts who participate in this open-source platform. They provide improvements in the form of new tools, better functionality, and greater efficiency. All these improvements are done on a donation basis, which helps keep the CMS free. 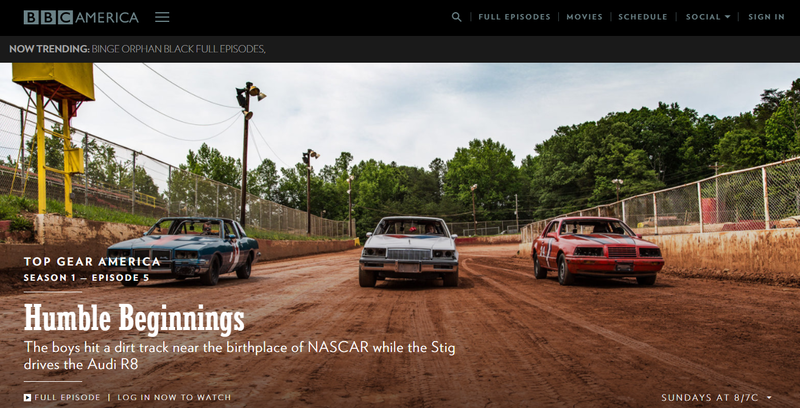 For example, BBC America is built on WordPress. Like WordPress, Joomla and Drupal don’t require knowledge of CSS, HTML or PHP. But, they do have their own quirks that can take some getting used to. WordPress is much more straightforward. It is considered one of the easiest Content Management Systems to use. Once you install it, you can immediately start using it. That’s because the menus are easy to follow. Even if you are unsure or struggling with any part of it, you can find numerous online tutorials and message boards with incredible support to walk you through it. 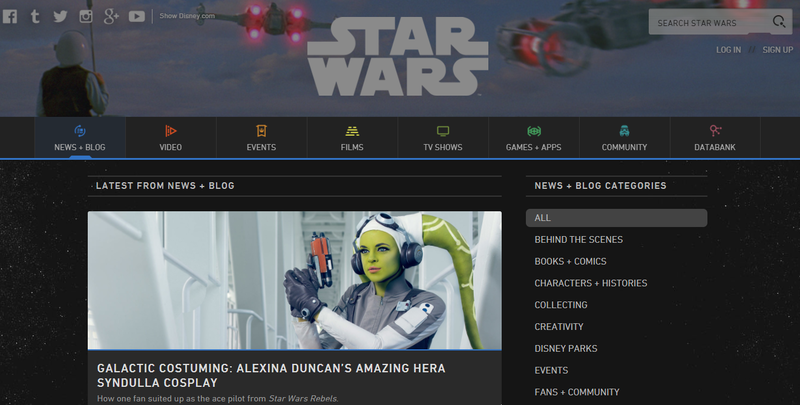 Also, the official Star Wars blog is built on WordPress. If you do have a question, so many people use and develop WordPress there’s always someone to help. Some of the places to get support include the helpful team at WordPress.org. This resource has very specific sections of content to address common issues and frequently asked questions. Support forms can be found through an online search, including the WP Help Forum. There are also forums dedicated to providing plugin support, such as WP Online Support. 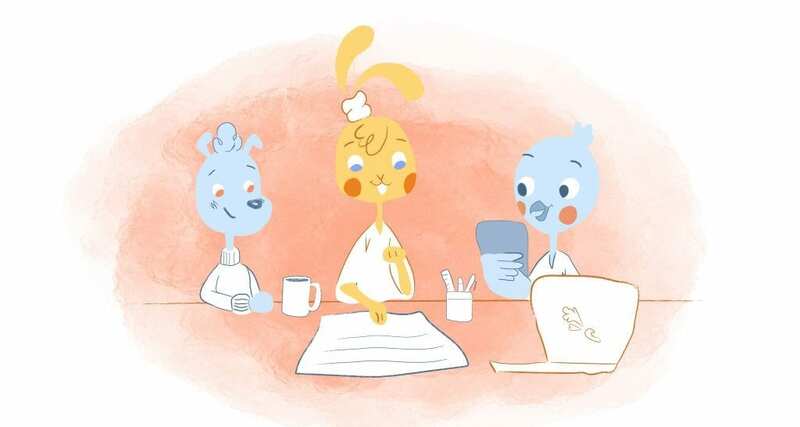 There is also a Slack channel where you can chat in real-time with WordPress experts who are available to answer questions and provide recommendations for your WordPress issue. Numerous Facebook Groups also offer the same level of support. Lastly, numerous tutorial websites put WordPress help within reach. These include WPBeginner and WPLift. 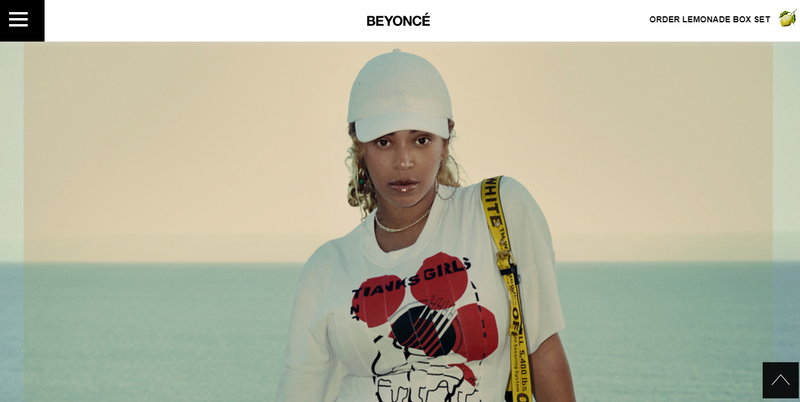 Did you know that Beyonce uses WordPress? WordPress has thousands of plugins and themes. One list of top WordPress plugins reveals that there is a plugin for practically everything. This list includes plugins for spam prevention and security measures to social media plugins and a communication tool integration. The list move you to SEO, contact forms, and affiliates to e-commerce capabilities. Therefore, you can easily add features to your website. Also, it’s possible to change your website’s appearance with just a click thanks to new themes that pop up on a daily basis. This is a quick and effective way to revamp your brand image without having to spend considerable time or money on graphic design talent. 5. WordPress works for everyone. Whether you’re building a giant commercial site, a simple business site, or just a single page, WordPress provides a simple solution. Users include NASA, CNN, and eBay. However, even small firms, freelancers, and bloggers use it. WordPress keeps on working best long after the site has been built. Now, there is no need to spend money or waste time having a designer make even the smallest changes to your website. It offers design consistency and flexibility. WordPress helps you be ready for mobile users without having to make a second website. Because it is intuitive, it knows if a user is looking at a website through a mobile device or web browser. Once it knows, it configures the content so the user can read it better. Those that want to create a membership site can create a full-service website with numerous levels with just a few plugins. WordPress works seamlessly with all social media platforms to improve engagement results and save you time. It helps you become better with SEO and provides ways to improve your search engine results. Security is one of its main concerns, which means you can keep a secure website or blog that is free from hacker invasion. In short, if you’re building your first website, use WordPress. It’s flexible, simple, and easy to be up and running in the least amount of time and with the least amount of effort. However, don’t rush to install it yet. You’ve got a little preparation work to do first. WordPress will give you a way to put your content on the Web. However, it won’t give your website a name. And, it won’t give you a place on the Web. Before you can create your WordPress site (or any website), you’ll need a domain name and Web hosting. A domain name is what people type into their browser when they visit your site. For example, CNN.com is CNN’s domain name. Domain names aren’t usually free. They cost about $10 per year, but there is a way to get one for nothing. I’ll show you how. Web hosting is like renting hard disk space on the Internet. You’ll have a place to store your files and content so that anyone can see them. Also, a good hosting provider will make sure your site is always available and loads quickly on browsers. Web hosting costs $3-$5 per month. You’ll need to choose both before you start using WordPress. Price is an important factor. The chestiest is not always the best. What is more important is to align the value offered with the price the web hosting company is charging. Those that are free or very low cost often are not include key features like non-outsourced support, which you will want. Some web hosting companies actually specialize in certain industries. For example, there are web hosting companies just for e-commerce businesses while others only serve small businesses. Look for one that understands what you do. Tech specs are a key factor. You don’t want to be limited by your web hosting company because they charge for more domains or backup. Make sure they have the bandwidth to work with your website that may be content heavy or feature numerous videos. You want to select a webs host gin company that gives you tech support in the form of a live person who can help you on the phone or chat. After all, you can’t afford any downtime and won’t necessarily know how to fix an issue. Shop around for a web hosting company that provides something different and more valuable than the others. For example, this might include multiple data centers or regular data backups. Read what everyone has said about a particular web hosting company on reviews, social media, and online forums. These insights can help you narrow down the right company. Since you most likely plan to grow, consider how the web hosting company will scale with you. That means determine if they have VPS or Dedicated Server solutions or an easy way to upgrade your account. I’ve used a few of them over the years. But, the one I always use now is www.Bluehost.com. It is reliable and very easy to use. For WordPress sites as well as for Joomla and Drupal, it even has one-click-installation. Just push a button on their website, and you’ll be building your site with WordPress. It happens immediately. And, it’s cheap. 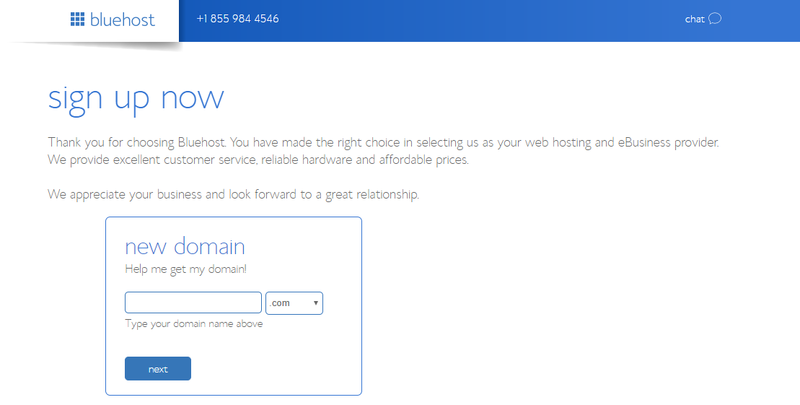 Bluehost usually charges $8 per month for hosting. However, if you use this Bluehost discount link, you’ll pay just $2.75 per month… and the domain name is free! (When you use that link and land that discount, I do get a commission. It pays for this site and means that I can keep helping people find the easiest way to build their websites cheaply and easily). Feel free to shop around. There’s no shortage of other web hosting companies on the Internet. But, in my experience Bluehost is the easiest, most reliable, and cheapest. And, this is especially when you’re working with WordPress. Once you’ve signed up, you’ll also get your own email address. Once you do, you’ll be able to write from [email protected] instead of from a Gmail or Hotmail account. It looks much more professional. If you already have a domain name and hosting, then move on down here. Read on for advice on choosing a great domain name. Sign up with Bluehost, and you’ll be able to pick a free domain name. That sounds easy, and it is. Ideally, your domain name will match your business’s name. If your business is called Ray’s Restaurant, then your domain name should be RaysRestaurant.com. If you’re building a website for yourself, then it should be YourName.com. Supposedly, in practice, most of the best names associated with .com have already been taken. However, one option is to use a different suffix, such as .org or .net. You’ll keep the name you want, but you’ll have a different ending. Plus, there are plenty to choose from now. But, it’s not necessarily a great idea. Users tend only to remember .com’s. Using anything else is likely to cost you visitors. A better approach is to stick with .com but look for a creative domain name. Is it easy to type? Names that are long, use strange spellings, or have hyphens are going to be mistyped. Every typo is a lost user. Keep your domain name short and clear. Does it reflect your business? A domain name is a brand. Think of it as a verbal logo that people will recognize and remember. Is it available? With millions of domain names already taken, you’ll need to find a good word or phrase that everyone else has missed. You can find out whether the name you want is available at Bluehost. Will it help with SEO? Select a domain name that represents what you do so that it can be ranked within search engines. After all, you want people to find you quickly! When you do find something good and meets this criteria but that’s also affordable and available, grab it before someone else does! The next step is to pick up your domain name for FREE by signing up at Bluehost. If you prefer to use a different Web hosting service, then make sure that it has one-click-installation for WordPress, Drupal, and Joomla. Time to move on to the next step. How to build a website in less that an hour? Registering with Bluehost will take just a few minutes. It will give you an address on the Web and space to put your website. Plus, you’ll be ready to start building that site with WordPress. First, you’re going to install WordPress on your domain. It’s very easy. There are two ways to do it. Bluehost provides one-click-installation for WordPress. You’ll find the button in the control panel. You can also install WordPress manually. However, that’s not straightforward. That’s why you can follow the instructions here. If your Web hosting service isn’t offering one-click-installation though, then you might want to think about using a different service. Now, it’s time for the fun to really begin! Installing WordPress will give you a simple default site. It works, but there are better options. And, those options are easy to find. 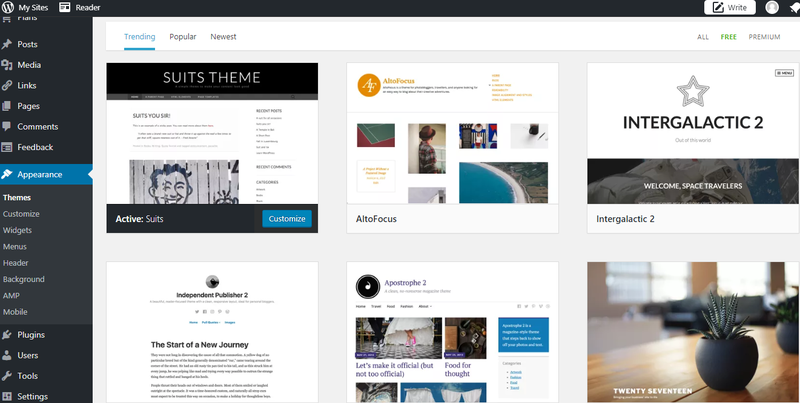 WordPress’s community has created thousands of different themes that anyone can use. Themes are just design plans. They’ll lay out your site so that you can fill it with your choice of pictures and text. However, they serve a very important purpose for your business. The theme you use for your website should reflect your brand and help provide an attractive, engaging presence that invites people to use your website regularly. The more enjoyable the visuals, the more likely visitors will stay on your website. You can reach your WordPress dashboard at: http://yoursite.com/wp-admin. Just replace “yoursite” with your own site’s domain. As you can see, everything is easy to follow. Click the “Appearance” link on the left and then choose “Themes.” That will give you access to more than 1,500 themes that you can use for FREE. Many of them are excellent, but you can also buy a theme at a site like ThemeForest.net. They’re likely to be more professional-looking. Yet, you might also find a FREE theme that does the job. Search by keywords related to the subject of your site. Be sure to look for a theme that’s responsive. A good portion of your users will reach your site on a mobile device. Therefore, your theme should be able to adjust automatically to small screens. Determine which website features best suit your business and find a WordPress theme that offers those. Focus on a theme that delivers easy navigation for your users. Test the flow and location of features to make sure it is simple and doesn’t require many steps to get around. Consider a premium theme. Although these WordPress themes do cost more than others, there are benefits. These include complete compatibility no matter what web browser your visitors use. Premium themes also include more customization options. The idea that “you get what you pay for” holds true with WordPress themes. Install your theme and then choose another one. Installing a theme is easy! Just click “Install Now” and then “Activate.” After that, the look and feel of your site will change immediately. You can change your themes as often as you want. Doing so won’t delete any posts you’ve written or images you’ve uploaded. 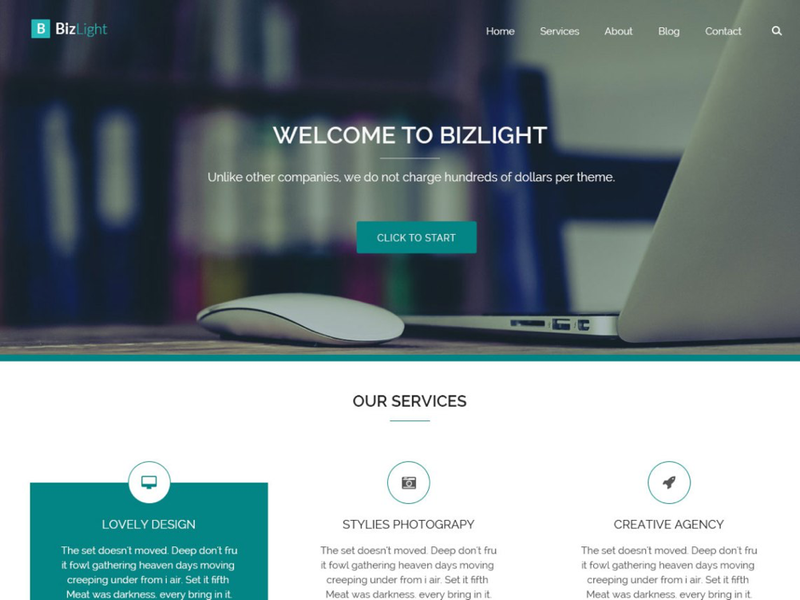 The theme gives your site a basic structure. From there, you get to build on that structure by adding new pages and changing the content on the pages you’ve built. A business website will need a bunch of pages that the theme doesn’t supply. You might want a press page, a page about your services, and a page for testimonials. These pages are important and how they are structured actually impacts your SEO results. Take your time with this part of your website building process to enhance your return. WordPress will offer you a clean page where you can write and post images. Press “Save” when you’re done and your site will have grown by one page! During this process, you should first determine your site structure by creating a site map. This site map will show your web pages and how they are connected together. This is important to do before you start randomly adding new pages. Think about how and your customers will use the website. That means making specific pages easy to find. From there, you can determine what sub-pages make sense under each menu item. The best way to do this is to look at comparable website and see which are organized in a way that makes sense. Then, model that on your own website to create your new pages. After you’ve saved a page, you can come back and edit it any time you want. Select the page from your navigation menu, and you’ll be able to make your changes, preview them and make them live on your site. 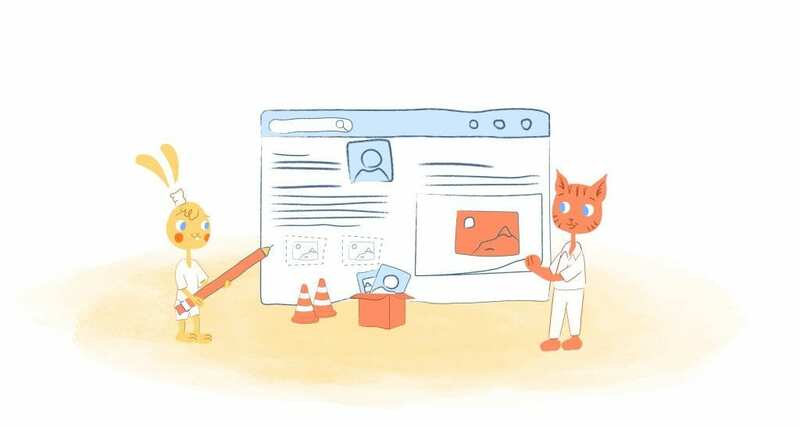 To enable users to easily find your most important pages, you’ll need to place a link to those pages in the navigation bar. Even a business website is likely to want a blog where you can create new posts and keep visitors coming back to see new content. Or, write your new post under “Posts” > “Add New” and categorize it under blog. Don’t forget to add that “Blog” category to the menu! Just as important as how your website looks and how easy it is to navigate is what it actually says on those pages. Content draws visitors in and holds them there. Use conversational English. This means that contractions are okay as is second person. It’s good to keep it light and somewhat informal rather than resorting to corporate language that makes the reader feel as though it’s not for them. Don’t use any technical language or industry jargon. All it does is confuse the reader and make them not want to continue reading. Make the content as relevant and helpful as possible. Visitors are looking for answers. Give them what they are seeking. This means using lots of details and specific advice. Be authentic. Visitors can spot marketing fluff in the very first sentence they read. Instead, give them real-life examples, facts, statistics, and honest information. Diversify the type of content you offer. That means it doesn’t have to always be about words. You can also deliver video content and other types of visuals, such as photos, info graphics, charts and graphs. Create unique landing pages that appeal to different customers or that are about a specific topic or for a particular geographic area. Your visitors will enjoy the personalization. Keep the layout for your content simple. No one wants to read a website that is cluttered with words. Making it intuitive is also important so that the mobile format continues to make reading the content easy to do. Don’t forget that part of the content is your contact information. Also, put this information on multiple pages rather than just the “Contact Us” page. Having the contact information in many places means that you can encourage the visitor to act immediately instead of taking a few clicks to get there. That also means adding a call to action on every page as part of your main content. Focus on your grammar and spelling. Your visitors notice typos and grammar issues immediately. This can adversely impact on their opinion of you. In fact, they will judge the quality of your products or services based on the attention to details like grammar. You can use WordPress grammar and spell checker. WordPress also offers a tool for readability that will help you eliminate issues like passive voice or sentences that contain too many words. However, it also helps to add a browser extension like Grammerly. Of course, you can always change the content later. And, this is important because you don’t want visitors coming back only to see the exact same content. You must continually refresh it with new information to keep them engaged. Even with a blog, creating your website won’t take you long. But, that’s only the beginning. As you add new content, you’ll need to maintain your site. Hold your mouse over this page’s tab, and you’ll see a short piece of text. That’s the page’s title. It has to be written clearly. Including keywords makes the page easy for people to find in search engines. Every page should have a unique title. Taglines are another place to include keywords. They’re placed at the end of titles on each page. You can add or change both the titles and the taglines at Settings > General. On a new page, click “Screen Options.” You’ll find it in the top right corner. Click “Discussion.” A box marked “Allow Comments” will appear at the bottom of the page. The field marked “Front page” is where you can choose your home page. The “Posts page” is the first page of your blog. WordPress themes usually have sidebars. You can change them. For example, you can take out the items you don’t need (like “Archives” or “Meta”), and you can take out the entire sidebar completely. Plugins are extensions that allow you to add functions to WordPress without having to write new code. For example, you can use them to offer users an attractive contact form or improve your SEO. To look for a plugin you might want to use, open “Plugins” > “Add New,” and start browsing the lists. Google Analytics. Google’s plugin will let you keep track of visitor numbers, sources, and traffic on your site. It’s essential. 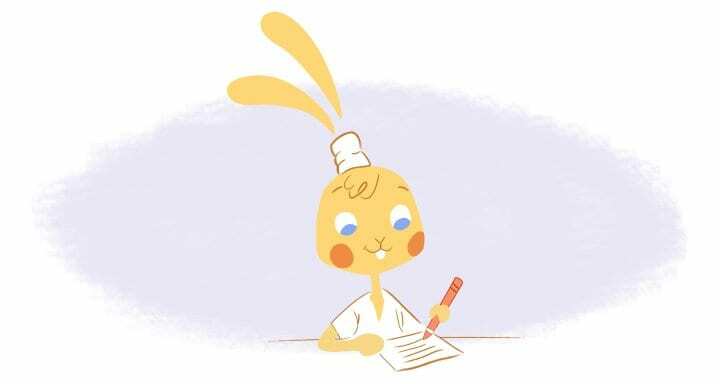 Yoast SEO. Search engine optimization is never fun. Yoast makes it easier by letting you edit title tags and meta descriptions on the page itself. It will save you a lot of time. Contact form 7. Contact form 7 allows users to send publishers email without using their own email provider. It makes communication much easier. Regularly update your website, including new versions of WordPress, plugins, and any other software that is integrated. Of course, you don’t want to forget to update that content either! Consider a new WordPress theme or other type of makeover. This might include new images or additional web pages that keep your visitors engaged. Research any new best practices or tools that are available that can enhance your website’s value. As part of your assessment, you may want to use things like a heat map or other tools that let you know how your website is performing with its intended audience. Review your SEO practices to ensure that your website is still optimized. That means checking that you are using copy and headers that are considered search engine friendly. This is where plugins like Yoast come in handy. They show you if you are doing the best you can with your SEO or not and where you could improve. Take the time to ensure everything gets the green light! If you have added new social media sites to your marketing efforts, make sure to integrate those on your website. This practice encourages social sharing and increases the chances of more traffic. Ask your visitors and customers how they like your website and what you could improve. This feedback will shape your maintenance strategy and help you identify where you need to do better with engagement and conversion. That’s It — You’re Good To Go! In conclusion, You’ll now have a domain name, a web hosting service, and WordPress website that are strengthened by a few plugins and a beautiful theme. You’re up and running. Now, you can start adding your own content and tell people where to find it. If you want to keep improving and growing your site, then check out the following guide. It will help to take your site to the next level. Also, if you have found this page useful, then please share it. I love to know that other people are getting their sites up and on the Web in a flash.